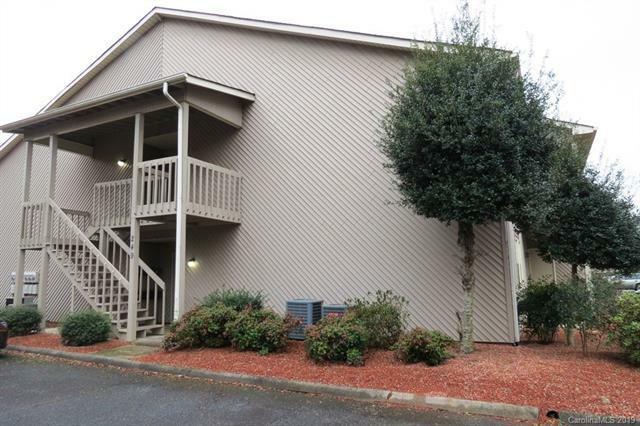 Hard to find condominium that is in a very desirable and convenient location. Very close to the mall and hospital and retail, restaurants, entertainment and business district . Building 249 is located in the back of the complex. Located on the second floor with no one above you and on the end. Featuring an open great room/dining area with vaulted ceiling and a well equipped kitchen with all appliances included. The main floor has a master bedroom with attached full bath and a smaller bedroom /office and a hall bathroom. There are permanent stairs in a stairwell leading to the upstairs loft that has a walk in closet. Fairly new laminate flooring through - out. There are no dogs allowed. There is one dedicated parking space and plenty of visitor spaces. The community has a fenced in ground pool. Sold by Rucker Real Estate Inc.